Omaha Transit Party is a product I worked on with a team during Hack Omaha II: With a Vengeance.The hack event was over a weekend, and we won first place! 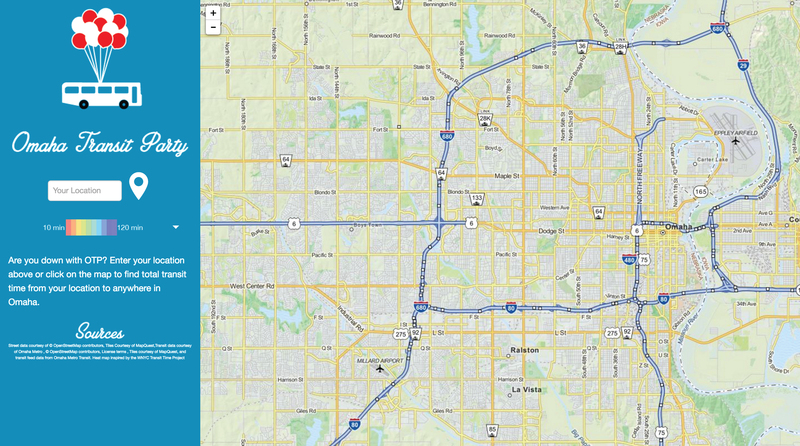 This tools calculates how long it takes you to travel around the City of Omaha only using public transit. Explore the tool by clicking on the screen, or enter your location. The UX job with this tool involved me figuring out how to display the data in a simple manner that would engage just about any user looking to find their transit times. I was in charge of the design of the website and logo.